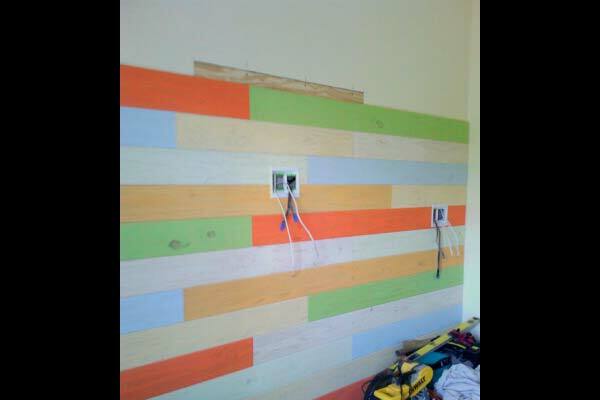 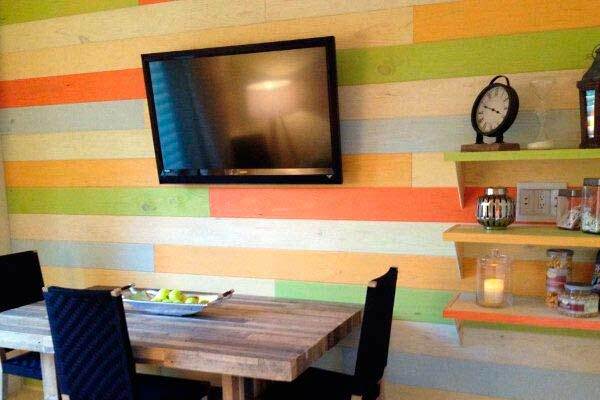 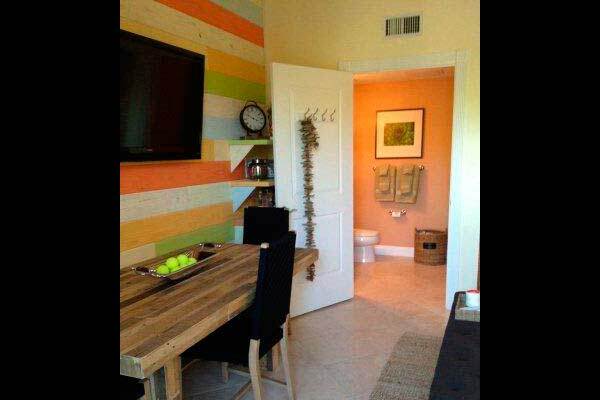 Our client wanted a colorful, wood wall and other remodel needs to update the condo pool house. 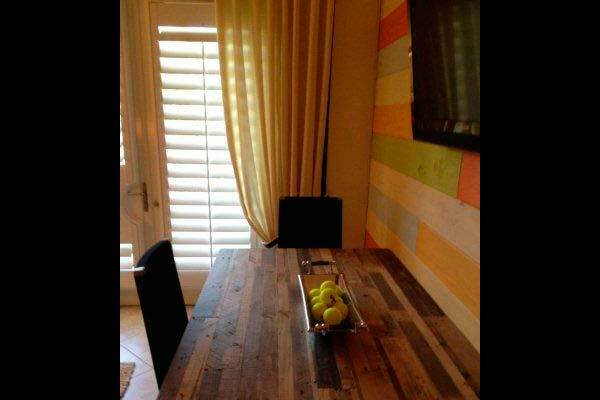 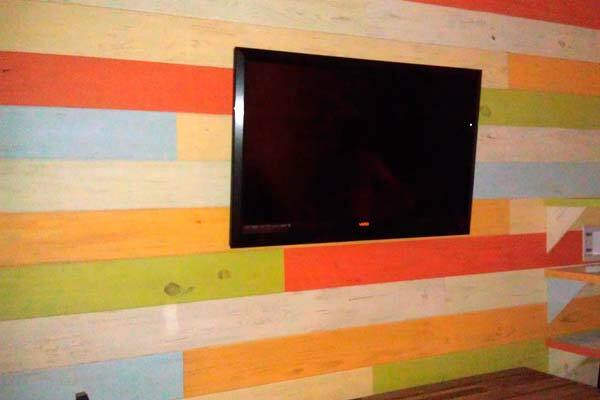 This was a fun, remodeling project requiring us to hand-apply various stains to wood planks and install this feature wall treatment. 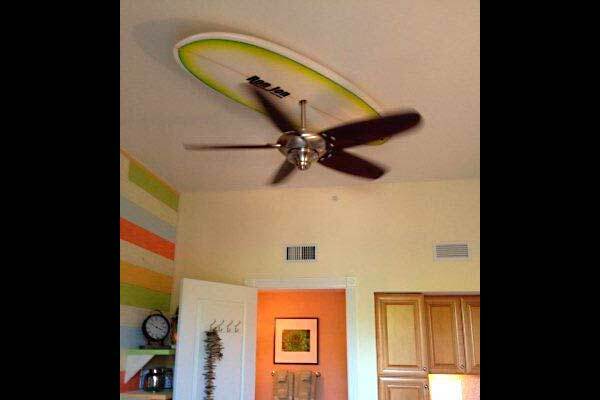 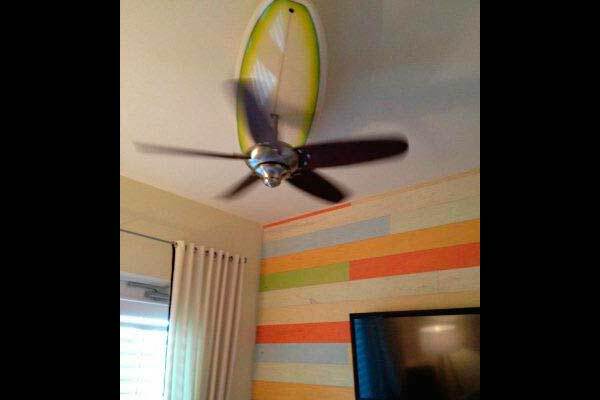 We also made a surfboard treatment to accent the ceiling fan. 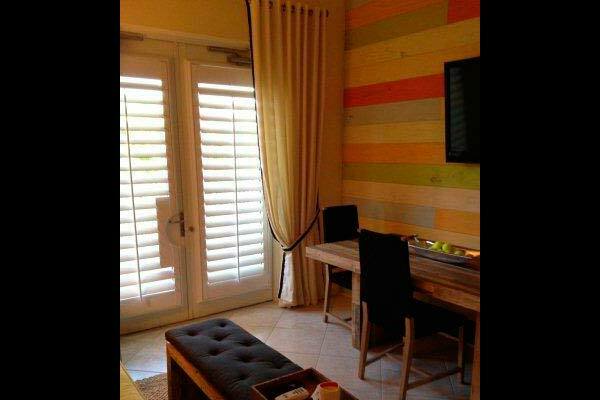 At Distinctive Contracting we can help with your pool house remodel needs from major renovations to tile floor updates. 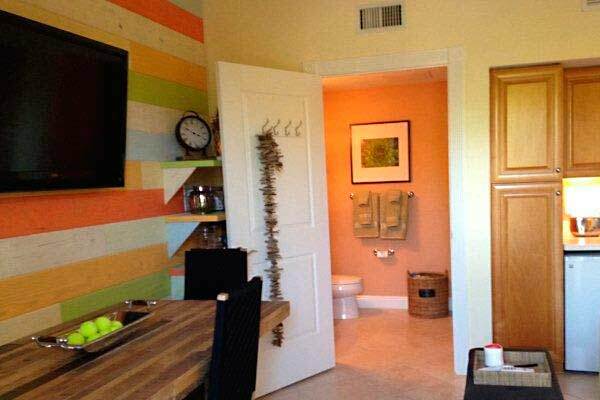 Just contact our remodeling team today to learn more.